Antioxidants are essential for your pet's cellular repair and are a natural defence against Australia's harsh climatic conditions. Shiny Coat & Healthy Skin ADVANCE contains enhanced levels of zinc and linoleic acid. Studies have shown supplementing the diet with additional zinc and linoleic acid helps improve skin & coat condition. Enhanced coat lustre and softness helps your pet look their best. Nutrifibre(TM) Smaller Firmer Stools A patented combination of fermentable fibre (beet pulp, FOS - Fructo-oligosaccharides) that acts as a prebiotic which promotes healthy bacteria (bifidobacteria, lactobacillus) in the gut, resulting in fewer, firmer stools. Oral Health ADVANCE has been specifically designed to promote dental health. Kibbles of certain size and shape help reduce tartar accumulation through mechanical abrasion. Added Sodium Tripolyphosphate (STPP) acts as a sequestrant to bind salivary calcium, preventing plaque calcification. By feeding these kibbles daily, in conjunction with a regular scale and polish by a veterinarian, tartar accumulation will be controlled to give a healthier mouth. Helps Maintain Urinary Tract Health Feeding studies have clinically proven ADVANCE reduces the risk of lower urinary tract disease (LUTD), with controlled levels of minerals and high digestibility, to promote the production of increased volumes of slightly acidic urine. Australian pets need to rehydrate more regularly to manage optimal water turnover. 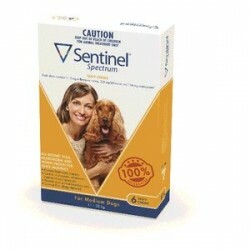 Advance is a healthy food supplement which our dog eats on demand. Always supplied for him. 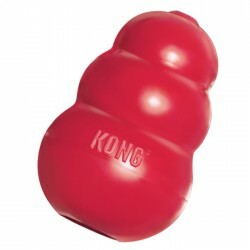 He loves it and it is good for his gums as it requires solid chewing before digestion. I changed to this food from Royal Canin as Advance is made in Australia. It is a quality product that I have had no issues with. My dog (Staffy) is in top condition.